Notice: See buyer complaints at http://www.scam.com/showthread.php?t=222031 although there are more if you search for them. Despite the official tester very clearly stating it is NOT a threat to casinos, Forester blatantly lies claiming it is the only device the casinos consider to be a threat. He also takes segments of the tester’s comments out of context to make it appear the results were positive. Forester’s promotion of his product is less like “advertising hype”, and more like fraud. His device will still work on ideal but very rare wheels, which is the only reason I rated it 2 stars instead of fraudulent. Mr Barnett also concluded the device only beats rare and easily beaten wheels. For such wheels, you don’t even need a roulette computer – you’ll achieve much the same results with the free visual ballistics course at roulettephysics.com. This was the last report from the tester. Non of the people on this forum are able to get an edge in the real world, if they were, they would also keep their mouths shut. So it is not just me saying the device is ineffective. It is also an impartial professional casino consultant who would actually profit if he could convince casinos that Forester’s device is a threat. And despite this, he said it is not a threat. This is another electronic device used to predict where the ball will land (roulette computer). 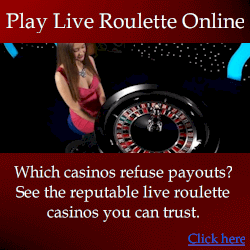 The seller maintains numerous mirrored roulette system review sites where he gives himself top reviews, but attacks his competition. This would be fine if he actually told the truth, but he unjustly slams his competition while portraying himself as honest and sincere. He is convincingly honest, until you do better research. You’re probably aware I’m in conflict with Forester. The details aren’t relevant, but if you’re interested, see https://www.genuinewinnerroulettesystem.com/forester-miro-zirdum/. What IS relevant is that I do not let our conflict get in the way of truth when it comes to reviewing his devices. That is to say if his device is great, I will say it. Or if his device has shortcomings, I will say this too. Unfortunately Forester doesn’t share the same views when it comes to putting truth before pride. The tester claimed the device is “deadly accurate” only if you don’t consider what happens after the ball falls. So it CANNOT accurately predict the winning number. This is like saying a car can start, but cannot drive because it has no wheels. When it came to predicting the actual winning number (which is what counts), the tester found the computer was unable to achieve an edge on a modern wheel. Forester’s “version” of the tester’s conclusion is simply that the tester said the device was “deadly accurate”, period. If you confront Forester with this information and the other tester’s reports, it is undeniable – although Forester’s defense is basically that if his computer can’t beat certain wheels, then no computer can. If you read the roulette computer comparison page at my website and the points below, you will understand what forester’s computer does wrong, what it doesn’t do, and why my computers beat wheels that his doesn’t. It is not to say FFA cannot be successfully used on some wheels. As the other tester found, I agree it can produce a significant advantage on rare wheels that exhibit a strong drop zone – that is where the ball tends to solidly hit the same diamond(s) far more frequently than others, without bouncing much. However, such wheels are quite rare and you may spend more money travelling trying to find suitable wheels than its worth. FFA unlimited is Forester’s latest roulette computer. It has comparable accuracy to my basic computer, which is provided free to my players because it has only limited capabilities. See a comparison video at https://www.youtube.com/watch?v=7oudhLHNumI. FFA uses almost identical algorithms to his FFZ computer, but FFA is far better than FFZ because it finally speaks predictions rather than giving very impractical electric zaps (see FFZ computer for the “zap” version). Ultimately FFA can only beat rare wheels. To someone that does not have thorough experience with roulette computers, FFA is initially impressive, if you apply it on DVD spins of heavily flawed wheels where the ball hits the same diamonds very often, and the ball barely bounces like the wheels in the video on Forester’s site. But take it into a modern casino environment, with modern wheels in good condition, and it is “profitable” only in rare circumstances. It is not the best roulette computer possible despite what Forester will tell you – in reality it is quite simplistic, and doesn’t anywhere near do all that is possible to maximize accuracy. Again if you read the roulette computer comparison page at my website, you will understand what forester’s computer does wrong, what it doesn’t do, and why my computers beat wheels that his doesn’t. * Accuracy for basic tilted (easily beaten) wheels is acceptable. These are wheels where the ball hits the same diamond on almost every spin, then falls with barely any bounce. It is not at all difficult to beat such wheels – you don’t even need a computer. *The FFA’s “point set” feature is highly prone to errors – it is extremely easy to set incorrectly, which will dramatically reduce accuracy and the user wont even know about it until a loss is made. My computers use a far superior method of “point set”, and they did this literally years before any of Forester’s computers used a “point set” feature. * The device is small and easily concealed, although if it is found, it cannot be explained away, unlike with mobile phones. * No noticeable accuracy (random) on average modern wheels. * Like FFZ, the FFA assumes the deceleration rate of the ball will remain constant. This is a major problem with Forester’s algorithm design. This is not just a design problem, but also a hardware problem because it is incapable of storing the required data. a. An off-the-shelf bluetooth muse is used for the second player. It is basically a bluetooth headset for mobile phones. It’s range is extremely short because the equipment is designed to be used with a mobile phone, by the person who is wearing the phone. There is no way this is practical in a real casino environment. The second player would need to be virtually pressed up against the first player to even hear the predictions. Even when the receiver and transmitter are very close together, any movement of either the transmitter or receiver causes the audio to be distorted and at times impossible to hear. b. Once the receiver is connected, there is a constant radio emission from the transmitter. This is like having a radio transmitter turned on the whole time you are playing. For the average casino that has equipment to detect such an obvious signal, there would be no problems detecting users of the FFA – they would likely be aware of the presence of a roulette computer before you made your first bet. Truly Forester either has not thought through his design through properly, or has taken cheap shortcuts that mean FFA for team play is guaranteed detection. c. A quick bluetooth network scan shows both the receiver and transmitter – clear as day. As if the constant radio emissions weren’t a clear announcement to the casino surveillance staff, having plainly visible bluetooth will ensure your detection. * Before you commence play, you must apply the computer on approximately 60 spins. After each spin, you must write down the prediction you received, and where the ball landed, then calculate the distance between the two. For attentive casino staff, this makes it obvious what you are doing. Furthermore, after leaving the table you may see you don’t have enough spins to clearly tune the computer, so you need to collect even more spins – the last thing you want to do is constantly leave and return to the table. With my computers, you enter the data in the computer with a hidden button, and the computer automatically tunes for you. The more spins you log, the better the accuracy. With my computers, there is no need for pencil and paper, manual charts, or constantly leaving the table. * Every time you resume play on a different day, even on the same wheel, you must proceed through all stages which wastes time – you may spend an hour or so just to tune the FFA computer on each day. This limitation is poor design and simplistic algorithms. * FFA assumes the ball will bounce the same way regardless of the wheel rotor speed. On Forester’s site, he presents information to show that if you tune a computer with a 3 second rotor (one revolution every 3000ms), then play with a 5 second rotor, your results will be very poor, so he is aware of the problem. Forester claims that no computer can adjust predictions based on rotor speed, but my computers have been doing this for years. * When Forester had developed only FFZ, he claimed using audio predictions is very bad because it can take a long time for the audio to be announced. With my computer, any of the audio files are announced completely and well and truly within 500ms (0.5 seconds). My computer can also use vibrations and/or beeps in the exact same way as FFZ and be perfectly accurate, but it is never used that way. So what is the advantage of using a zap instead? Sure, you get the prediction quicker you might say. But the reality is you need to see the number under the ball when the zap occurred, and that’s IF you can see the ball at that time, and that’s IF you can actually see it when the ball is fast with wheel going to the other direction. But that’s not all – when you are actually betting, you also need to mentally adjust the prediction for every spin. So say for example you get a zap under one number, but the tuned prediction if 10 pockets to the right, you first have to wait for that 10th pocket to be visible so you know what it is, then place your bets. Forester’s claims were just nonsense – whatever Forester has at the time, he just claims is best. I find him to be extremely egotistical and arrogant, and has little regard for actual truth. So now that Forester developed a “speaking” computer (FFA), of course he says it is best. * Forester claimed that it is not possible to develop a computer that is capable of giving predictions anytime in the spin. He claimed I was dishonest for claiming my computers were capable of this. Now Forester’s computers can do this very same thing, but for his computer it is only possible with tilted wheels, whereas my computers can generate accurate predictions anytime in the spin for both level and tilted wheels, without significant loss in accuracy. Forester is still developing his FFA, so perhaps eventually his computers will more more beneficial. But while he hasn’t achieved full development, he shouldn’t be claiming his computer is far superior to every other computer. Mr Barnett’s testing was not done in real casino conditions. That is to say while his tests were done on a wheel, they were able to spin as frequently as they wanted. This means tests were conducted in conditions where air pressure would not have varied significantly, as it often does in the real casino environment. This in turn means ball deceleration rates would not have changed significantly which is a major consideration. If you do 100 spins in an hour, you can assume ball deceleration rates will remain reasonably consistent. But if you do 100 spins in 2-3 hours, the average distance between the first and second 50 spins may vary 1 whole revolution. Does there need to be such a large variation for it to be significant? No. For level wheels, even a variation of an inch can be the difference between winning and losing, and such a variation can easily occur within 30 or so minutes due to many factors that affect ball deceleration rates – not just air pressure. The smallest difference in ball deceleration rates can and do make a large difference to which diamond will be hit, how the ball falls, and ultimately the winning number. This all means that Barnett was only considering accuracy of predictions relating to where the ball fell from the ball track, NOT the final winning number. From this perspective ONLY, Barnett said FFA was accurate. However, if FFA is tested over a longer period of time, results would be significantly different as I found. While the factor of air pressure variations applies to tilted wheels, it is much more significant to level and semi-tilted wheels. On a tilted wheels, you can have a much larger degree of tolerance – i.e. ball deceleration may change very slightly, but the ball will still hit the same diamond. But on a level or semi-tilted wheel, slight ball deceleration variations can make a huge difference to where the ball actually falls. VERDICT: This is nowhere near the sophisticated technology that Forester claims, and you will get much the same accuracy with the free visual ballistics course on roulettephysics.com. Forester has made rather blatant lies about the embarrassing test results, and has spread absolute nonsense to discredit me and my review of his devices. He is excellent at making himself appear honest and sincere, but I find him to be extremely manipulative and without regard for truth. FFA consists of about $20 in parts, and would take approximately an hour to assemble. FFA sells for almost $2000. Forester claims he doesn’t profit from sales, and that he has no business interest in discrediting anyone. You decide. FFA is excellent for tests at home in front of your TV and DVD player, but has no real place in real casinos. I personally know many players who have many of his devices, and not one of them has profited. One even lost over EUR40,000. Another was caught in Europe, likely because of the easily detected wireless equipment. Of course Forester will again say my review is inaccurate, despite it again reflecting Barnett’s review. And of course he will claim his computer is best, and that my devices are a scam. 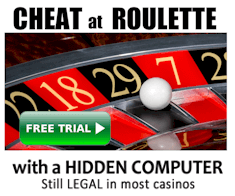 Therefore, so should any of Forester’s FFA or FFZ purchasers want to know for sure if my claims that my computer is more accurate are true, read the roulette forum thread at https://www.rouletteforum.net/cgi-bin/forum/Blah.pl?m-1262064653/ and see the comparison page with links to other proof – I have created a DVD of many spins showing application of my roulette computer, and will send this DVD for FREE to Forester’s purchasers so they can compare results. If you have FFA or FFZ and take this offer, you will find that clearly my computer produces a better edge, even when predictions from my computer are a whole second or so earlier than predictions from FFA.